Deadline reported today that director Bryan Singer would indeed be returning to direct the next film in the rising X-Men movie franchise and they also gave us a look at an early synopsis that introduces some new(old) characters to the mix. 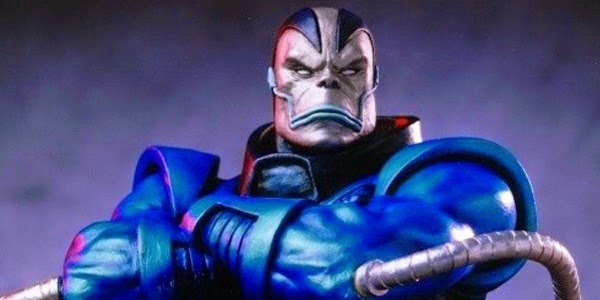 Apocalypse takes place a decade after Days of Future Past and is a seamless next step in the story. The altering of time has unleashed a new and uniquely powerful enemy. Charles (James McAvoy), Erik/Magneto (Michael Fassbender), Raven/Mystique (Jennifer Lawrence), Wolverine (Hugh Jackman) and Hank/Beast (Nicholas Hoult) are joined by young Cyclops, Storm, Jean and others as the X-Men must fight their most formidable foe yet: an ancient unrelenting force determined to cause an apocalypse unlike any in human history. And so we get some confirmation that we will see Cyclops and Jean back in the mix of things. Off all the many problems I had with the original films, the portrayal of Cyclops was chief among them. In my mind, Cyclops is as important of a character as their is and his disposal in favor of Logan was troubling. I hope that our new Cyclops is given a more comic-accurate portrayal. We've already heard that Channing Tatum's Gambit and a new Nightcrawler are likely additions to the cast as well, so it seems that X-Men: Apocalypse may be the film that finally gives old school X-Men fans (like me) the movie for which they've been asking!